Redditor SIDLOTF01 posted an excellent analysis of the recent changes in Counter Logic Gaming and explanations on their recent successes. They have been struggling in LCS Spring Split but with roster and gameplay changes they managed to get ahead of nearly every other team and had spectacular performances in some of their matches. If you’re not a passionate follower of the competitive League of Legends scene you won’t get much insight into how you can improve your own gameplay, but for those who keep track of professional teams the overview provides great insight into how even the best of teams need to adapt their playstyles and expand their champion pool to perform at the highest levels. Spring Split CLG relied heavily on Doublelift to win their games, often funneling as much as their gold as possible into their ADC in hopes of him carrying. A good way to gauge who would win a CLG game would be to look at Doublelift’s KDA and CS around the 15-20 minute mark. If he was struggling or behind, it almost certainly spelled defeat for the team. Sometimes Link would pick up the slack and carry, but for the most part, the team hung of the back of their star ADC. This CLG paradigm was not due to lack of skill among other players, but was rather because of individual play styles. HotshotGG often favored tanks, playing Shen, Galio, Malphite, and Cho’gath in a majority of his games. Instead of playing carry toplaners to pose more of a threat in lane, he opted for tankier champions to split push for map pressure, and then to damage soak in teamfights. While this strategy was not unsuccessful, it did add a certain level of predictability to the team before the game had even begun. Other LCS teams never had to worry much about a “wildcard” factor coming from the toplane, becuase they understood the distinct way in which Hotshot played the game: pick a high-durability-low-threat champion, stay in lane, farm as much as possible, come to help team during dragon, then head back to lane. This playstyle isn’t inefficient, but when a person or team plays the same way over and over again, opponents can find the pattern and subsequently abuse it. A prime example of this was the recent OGN Finals in which CJ Entus Blaze, who had been utilizing a minion push strategy for a 13 win streak (more in-depth look by MonteChristo ), was crushed by MVP Ozone, who had carefully crafted strategies and compositions to counter Blaze’s predictable tactics. In a similar fashion, HotshotGG never truly posed too much of a threat simply because his opponents were able to work around his limited champion pool and play style. At the mid lane was Link, who showed high promise but rarely carried his team and provided threat like the likes of Reginald or mandatorycloud or Scarra (look at Scarra’s Yi and Zed play at MLG and compare it to Link’s Nidalee during the spring split). Link was a threat, but never really snowballed and carried games hard. Chauster, the team’s jungler, was extremely underwhelming and consistently failed to make big plays or carry. This left a majority of the carrying job to Doublelift, who was often forced into hypercarries, such as Vayne and Twitch, or Ezreal due to his extremely safe nature. Aphromoo’s lack of longtime synergy and experience as a support, however, kept Doublelift’s lane a bit suboptimal. This is not to say Aphromoo wasn’t a good support, but there was a clear discrepancy in Doublelift’s performance when compared to Doublelift’s season 2 play, or his Allstar performance when paired with Xpecial, one of the best supports in North America. All in all, CLG was a team with great potential (lolgetit?) but a lack of threats across the map and a bottom lane with little experience gave CLG an extremely inconsistent Spring Season, where they were eventually knocked down to relegation matches. Before the summer split of LCS began, things looked hazy for CLG. HotshotGG, one of the team’s founders and most seasoned veterans to the game, retired, along with Aphromoo. Nien was acquired to fill the top lane, but was previously an ADC player and thus lacking any competitive top lane experience. BigfatLP, the former midlaner and sub for the team, was recruited into the jungle, and Chauster was switched back to support, in hopes of the CLG bottom lane returning to it’s Season 2′s world-class form. After three weeks in LCS, CLG, the team with the most roster/role swaps of all NA teams, is tied for second place. Abandoning his old utility/poke oriented play style (Orianna, Lux, and Nidalee), Link has come out swinging during the summer, playing champions such as Zed, Twisted Fate, Karthus, and Jayce, champions who make kills happen. Link thus far has played spectacularly, carrying games as hard as, if not harder in some instances, than Doublelift. His roaming playstyle and aggression have proven to be fruitful, and Link has established himself as a true threat. Jungler camping bottom? No problem, Link will roam top, get Nien a kill and help him snowball. Link’s performance has drastically improved since the Spring Split, and his new pool of champions have begun to unleash their terror on their enemies. As the season progresses, and Link gets more and more comfortable carrying, I predict Link to become one of the most feared mid laners in all North America. Considering the fact that he was not a top lane player before this Summer Split, Nien has been playing very well. Currently sitting at the 3rd highest KDA among NA toplaners, Nien has transitioned into his new role beautifully, and continues to improve with each game. He has thus far demonstrated an extremely diverse champion pool and varying play styles, from tanking with Malphite, to carrying with Elise, to somewhere in between with Jarvan. Those who saw the CLG v TSM game saw Nien flourish and demonstrate the beginnings of what will hopefully be a fantastic season for the rookie top. With a hard work ethic and proper practice, combined with his impressive mechanical skills, Nien has the potential to become one of the best. While previously the mid laner for CLG, bigfatlp was often criticized for falling short in lane, despite his incredible teamfight mechanics and focus. Now, as the new jungler for CLG, bigfat has foregone the lane phase entirely and instead become one with the jungle. While Chauster is often hailed as the mastermind by CLG, bigfatlp possesses a certain brilliance in-game that makes him incredible to watch. Bigfatlp builds as a tank exclusively, regardless of the champion, in a way that is a bit reminiscent of Hotshot. The difference here, however, is that as a Jungler, bigfatlp’s unique tank style is harder to abuse than a top laner’s. In addition, bigfatlp plays champions that can duel invading junglers quite well (Nocturne) or CC enemies down until his team can come help (Sejuani and Nasus). His teamfight decision making and skill is outstanding, and he seems to always escape fights with sub 10% hp, knowing the exact limits of his champion. In addition to his near-flawless tanking, he possesses a rare gift among North American junglers: the ability to time his smites perfectly. Simply put, bigfat does not miss smite. He essentially does not miss when his team is starting an objective, and has smite-stolen many when the enemy has started it instead. His incredible smiting ability, combined with a genius playstyle, is what makes bigfat the behind-the-scenes hero of the team. During Season 2 of League of Legends, CLG’s bot lane, Chauster and Doubelift, was arguably one of the best in the world. Doublelift was coached by Chauster, who had previously been the team’s ADC, and the mentor and student quickly became one of the most feared duo’s in the game. Chauster was eventually switched to jungle, but after an extremely disappointing performance there, he has made his way back to support. While Chauster is still obviously the weakest member of the team, he has demonstrated in the past that he can be a top-tier support. Currently his performance fluctuates as wildly as Curse’s has this split: he will either make an amazing play, or get caught out and give up first blood for free (both of these clips are from the exact same game). If Chauster is able to return to his Season 2 form, which he most certainly has the capability of doing, then CLG’s bot lane will become feared once again. CLG has essentially taken everything that made them weak previously and changed it. While there are new problems, such as Chauster and Nien getting acclimated to their new roles, and sometimes questionable in-game objective prioritizing, their old problems have been widely dispersed. The predictability of their top laner is gone, and now actually have carry tops when they are needed. The team has an outstanding jungler that provides presence and extreme objective control, coupled with excellent team fighting control. 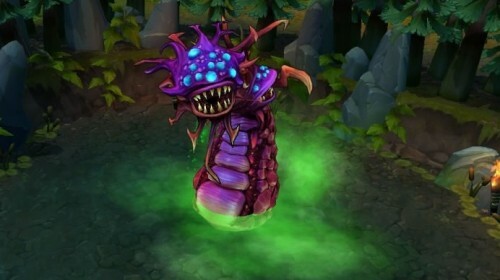 Mid lane has seen a tremendous growth and is sometimes the biggest threat on the entire team. Bot lane is now only one part of a triple threat team, rather than a 1.5 or two threat team. I truly believe that if CLG can overcome their current issues such as re-prioritizing objective control and working on where they funnel their CS, CLG can be the #1 team in NA.